​First Friday of every month. We will have dinner and a special social event. 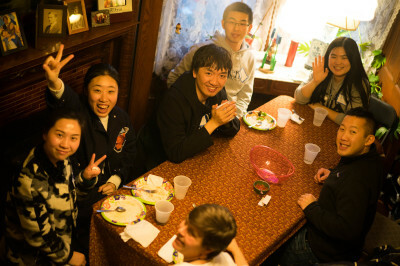 Previous events have included a photo scavenger hunt, costume party and Karaoke. ​All other Fridays. We have dinner, singing, and discuss the Bible (no previous knowledge required). All opinions, faith and cultures respected. No lectures and no pressure. Where? Tim and Lyn's house (The House for All Nations), 435 S. 45th Street. Map below. ​DINNER--Made by LYN and friends. We know you're hungry! It's healthy, it's delicious, and best of all, it's a FREE dinner. Always vegetarian options. No pork, beef or alcohol are served at our dinners, so no worries!